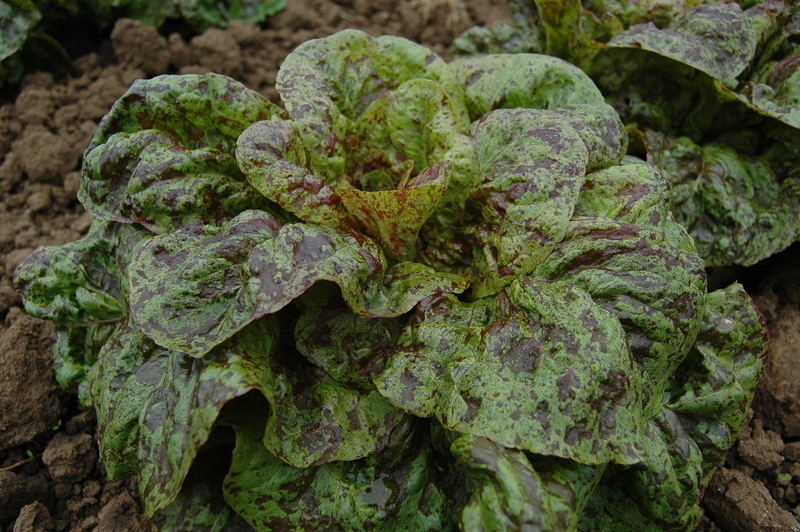 Latest of the ‘flashy’ red splashed series, this one a Little Gem-like butter-cos that forms a fat short-leafed football of a lettuce, splattered throughout by crimson. Perfect leaves for high-yield salad crop, or for dense baby heads. Great taste, texture, and color. Farm Original Variety! OSSI (Open Source Seed Initiative) Pledged Variety.